While electric vehicles (EV) are a huge boon for the environment, it is unclear what will become of all the used batteries. Sumitomo Corporation may have the answer – they’ve created a large-scale power storage system that will run entirely on used EV batteries. The project is located on Yume-shima Island, Osaka and it aims to prove the technology’s viability while measuring the smoothing effect of energy output fluctuation from a nearby solar farm over the next three years. 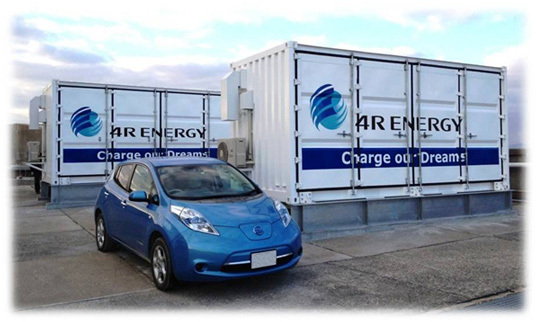 In addition to creating technology that can safely and effectively make use of a huge number of discarded EV batteries, the project selected by the Ministry of the Environment of Japan as a model project for the “Verification of the battery storage control to promote renewable energy” will also study methods to reduce energy output fluctuation at the “Hikari-no-mori” solar farm. 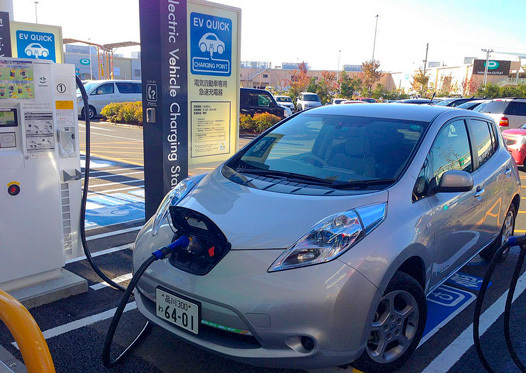 Sumitomo Corporation joined forces with Nissan in 2010 to establish “4R Energy Corporation,” which aims to address the secondary use of EV lithium-ion batteries. After undergoing a thorough inspection and maintenance review to confirm safety and performance, the used batteries will be put to work in the large-scale storage system. The current prototype system (600kW/400kWh) consists of 16 used EV batteries, and will likely accommodate more in the future. While electric vehicles (EV) are a huge boon for the environment, it is unclear what will become of all the used batteries. Sumitomo Corporation may have the answer - they've created a large-scale power storage system that will run entirely on used EV batteries. The project is located on Yume-shima Island, Osaka and it aims to prove the technology's viability while measuring the smoothing effect of energy output fluctuation from a nearby solar farm over the next three years.